At Anderson Chiropractic and Sports Clinic, we take great pride in providing the finest chiropractic care to each and every patient. We have included information below about the different chiropractic services offered in our Brookings chiropractic office, but please call us at 541-469-2276 if you have any questions! We provide advanced spinal correction and chiropractic adjustments utilizing "state of the art" chiropractic techniques. Never in the history of chiropractic care have chiropractors been able to provide the level of help and expertise that is available today. Many of the newest chiropractic techniques are actually safer, more comfortable and more effective than ever before. As a chiropractor who cares about utilizing the most advanced chiropractic techniques, Dr. Chad Anderson has years of training, expertise and experience in helping patients get pain relief for back pain, neck pain, headaches, and other related conditions originating from the spine. Chiropractic care under a trained professional can even be used to prevent injuries and help you achieve total health or wellness. Activator is a gentle, low-force technique. It has been safely used for over 45 years to benefit people with a wide range of health problems-without drugs or surgery! In the late 1960s, this revolutionary chiropractic technique was developed to improve safety and comfort for the chiropractic patients. Since then, the technique has grown to be the most widely-used "low force" chiropractic adjustment technique in the world. 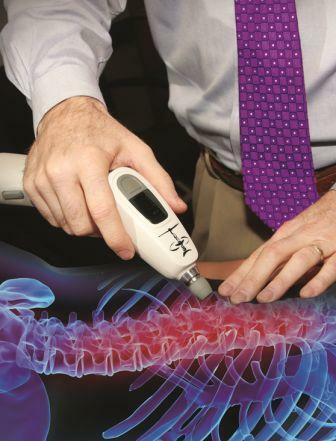 The Activator Technique incorporates the latest advances in orthopedic, neurological, and chiropractic examinations along with a unique system of administering spinal adjustments. Using the Activator analysis and the Activator instrument, your chiropractor can help restore spinal balance, safely and comfortably. Doctors of Chiropractic receive extensive training in the Activator Technique. This method is also one of the most scientifically researched techniques in chiropractic. Supporting the muscle -- Proper taping improves the muscle's ability to contract even when it's weakened, reduces a feeling of pain and fatigue, and protects the muscle from cramping, over-extension and over-contraction. 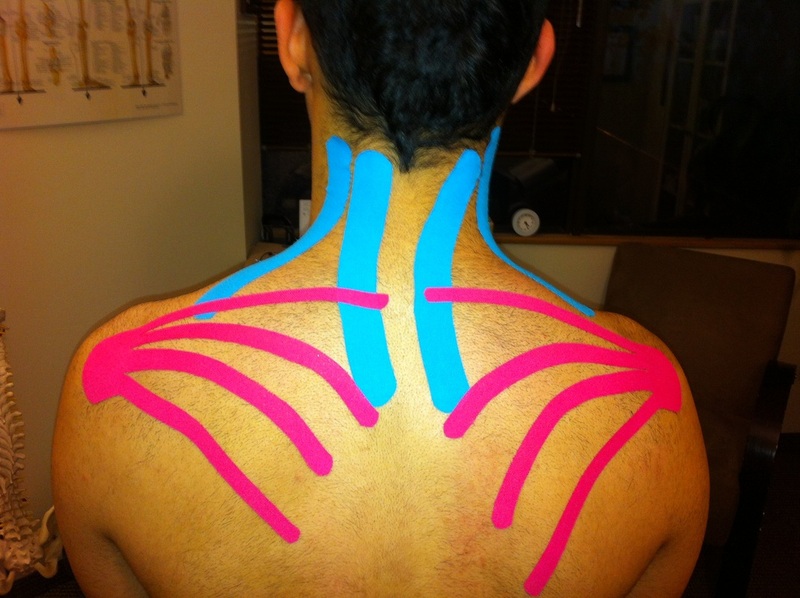 Removing congestion to the flow of body fluids -- Kinesiology tape improves blood and lymphatic circulation and reduces inflammation and excess chemical buildup in the tissue. Activating the endogenous analgesic system -- "Endogenous" refers to something that is self-originating, and calling something "analgesic" means that it can relieve pain in a conscious person. So, this requirement means that the tape must facilitate the body's own healing mechanisms, a central focus in chiropractic medicine. Correcting joint problems -- The goal is improving range of motion and adjusting misalignments that result from tightened muscles. At Anderson Chiropractic and Sports Clinic, we teach our patients how to perform special "blueprint" exercises which can help strengthen and correct the irregularities in their body which may be causing pain. Many of these corrective exercises can actually be performed in the comfort of your own home to help improve the effectiveness of your chiropractic care and spinal correction plan. In addition to skeletal misalignment, you may be experiencing pain that is caused by muscles and connective tissues which are out of their proper place. Other types of pain such as back pain, neck pain, and headaches are caused by muscles and tissues that are being used improperly, causing injuries over time. In each case, targeted corrective exercises and stretches from our experienced chiropractor will help you feel good while also helping your body achieve balance and health. What does nutrition have to do with chiropractic care? The goal of chiropractic care is to help patients achieve total health and balance with their body, and as part of that goal we provide specific recommendations on nutritional supplements and healthy food choices. Nutritional counseling by our experienced chiropractic health professionals can assist a patient on their return to optimal health. Do you know which supplements and vitamins are good for you? Do you know how these supplements and vitamins interact with one another? At our Brookings chiropractic clinic, we can provide each patient with a structured nutritional program that is based on their individual needs. There is a saying that an ounce of prevention is worth a pound of cure. Your spinal health is no exception. Posture and spinal screenings by a trained and experienced chiropractor such as Dr. Chad Anderson can help reveal important health information, unlocking the door to improved health and well-being. In order to help the Brookings community, we provide screenings at area malls, community events, health fairs and places of employment. Contact us today at 541-469-2276 to arrange a screening at your event or workplace.